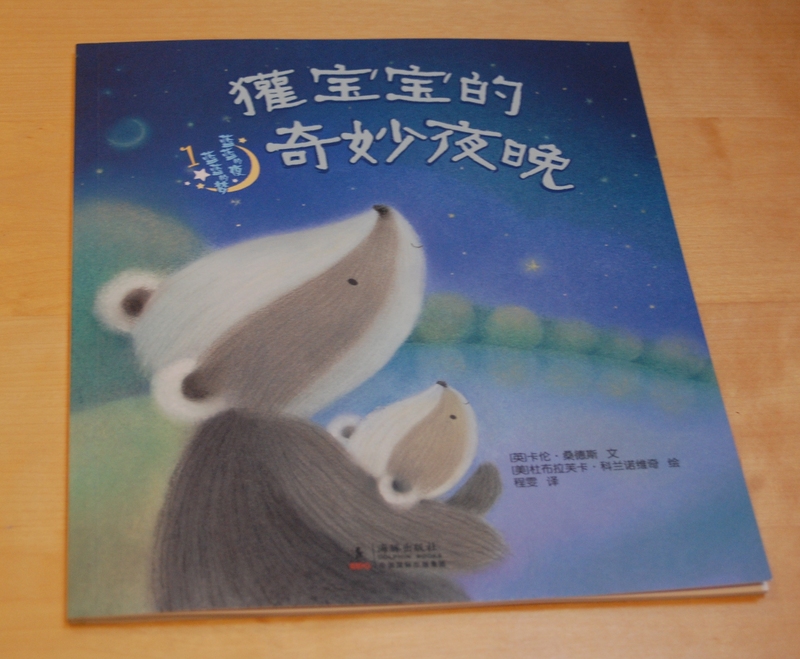 My lovely editor at Gullane sent me the Chinese copy of Baby Badger’s Wonderful Night the other week, which was exciting to see. 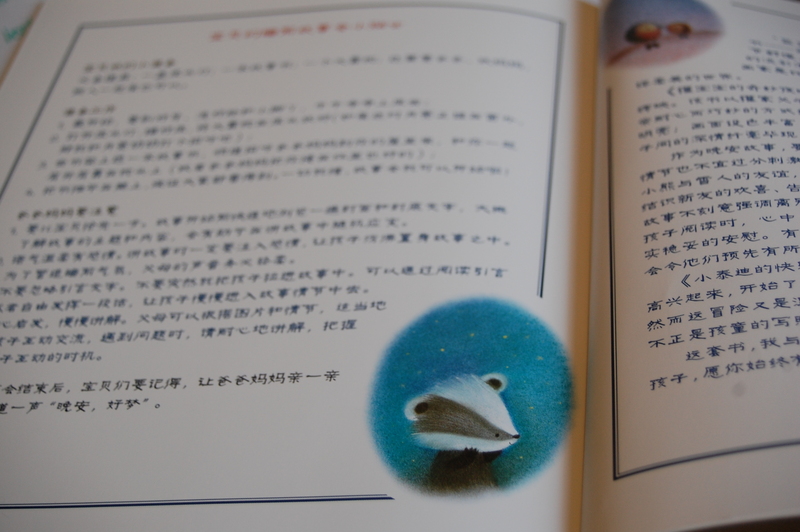 It’s amazing thinking of children in China reading my book. Several people have asked me, ‘Do they have badgers in China?’ and the answer is yes! You can read more about them on the badger Wiki page here. Apparently they’re a bit of a crop nuisance in Northern China but um, we’ll just brush over that. And perhaps also the bit where it says badgers are <whispers> eaten. ← The Proofs Are Out!